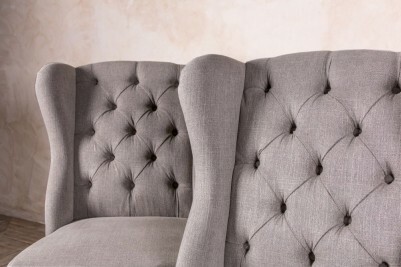 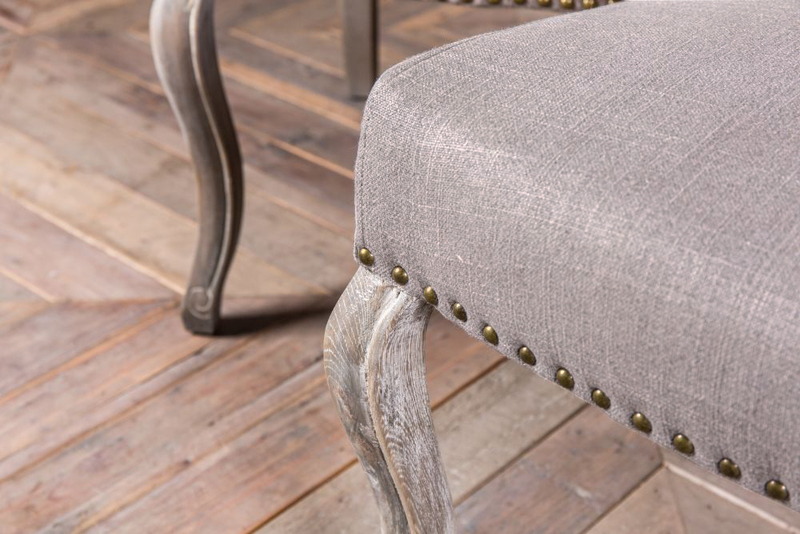 Introducing our exclusive range of hand-finished and upholstered French style button back benches, dining chairs, armchairs and sofas. These button back French style ‘St. 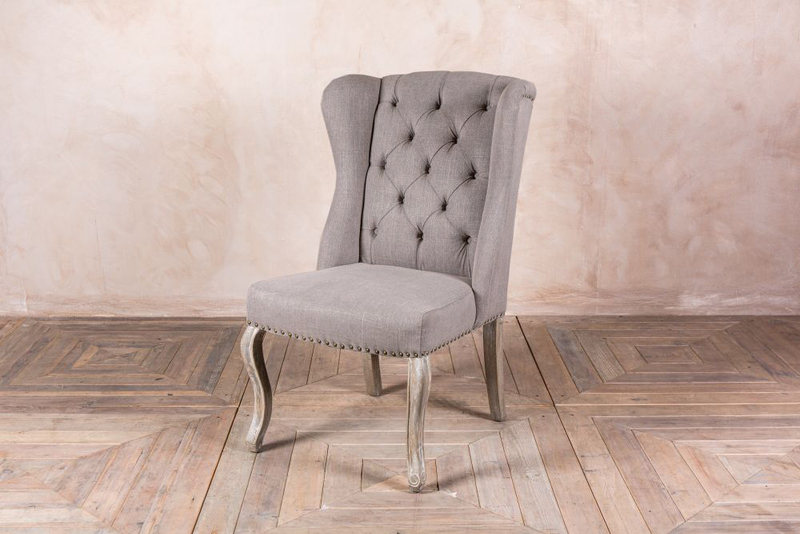 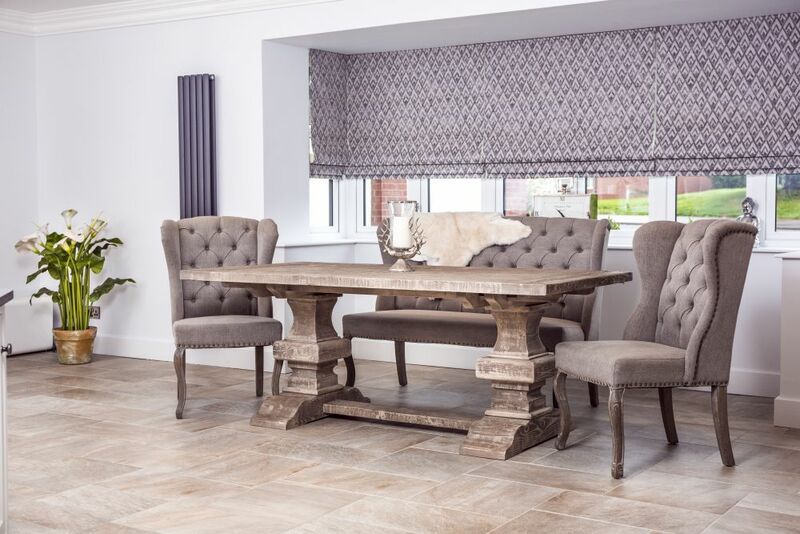 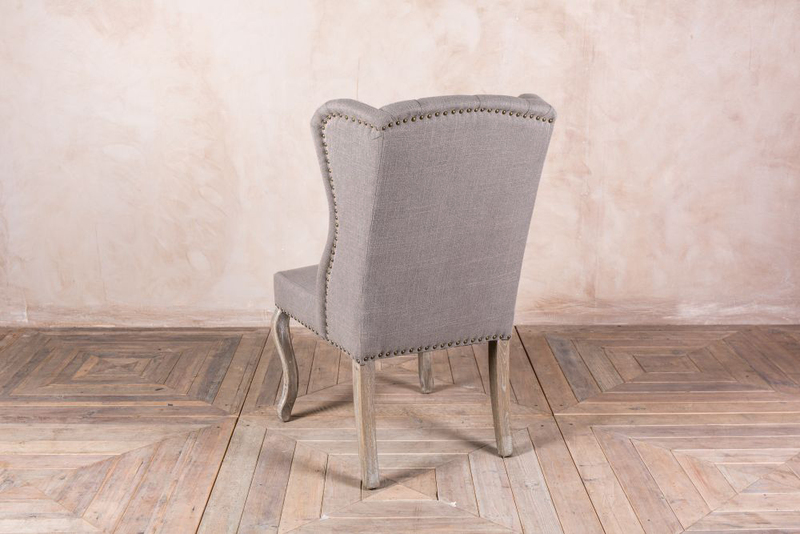 Emilion’ dining chairs feature an opulent and rich upholstery work in stone linen. 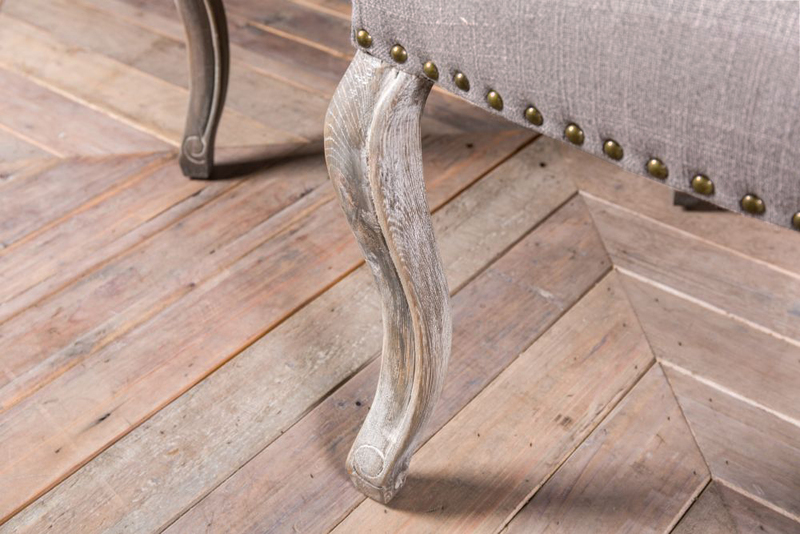 The exposed timber has been completed with a hand-finished lime wash. 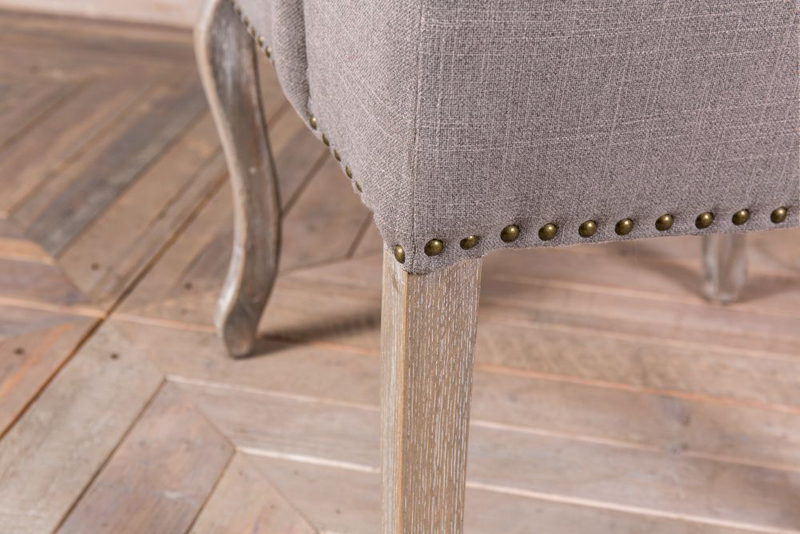 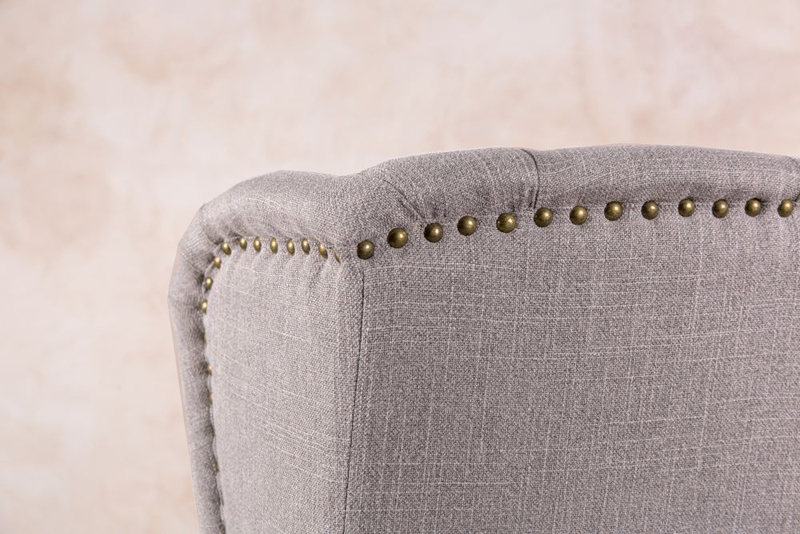 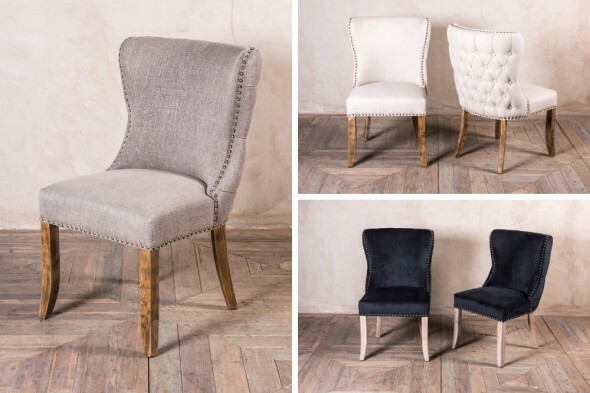 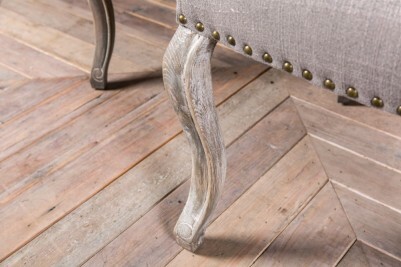 These chairs have also been beautifully finished with individual brass studs, which add further character to chairs based on a classic French design. 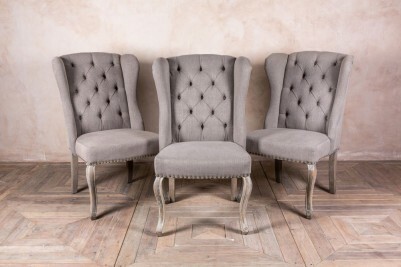 Ideal for a multitude of interiors, these ‘St. Emilion’ chairs would complement any kitchen, bedroom or dining room, and would add a touch of luxury to any bistro or restaurant interior. 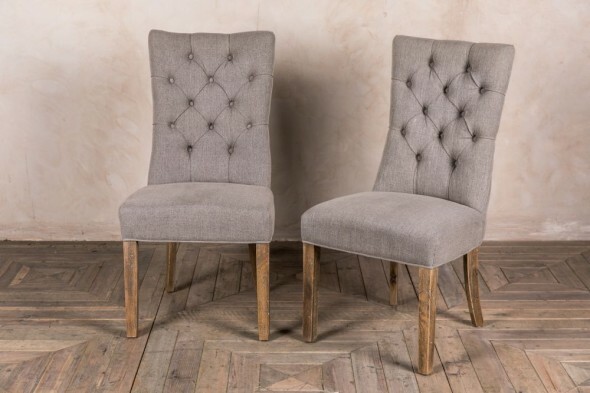 Why not style them with the matching 'St. 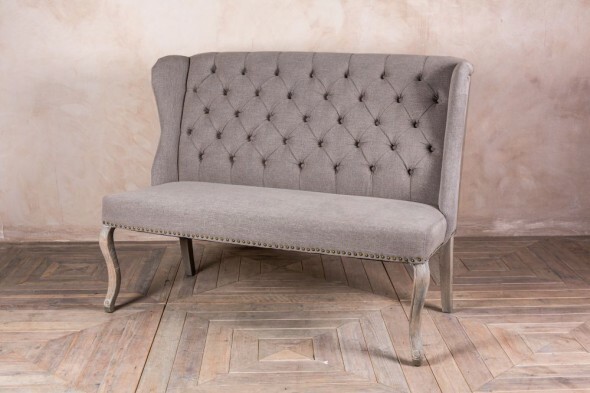 Emilion' bench? Please note that this listing is for one chair only but they can be purchased in any available quantity. 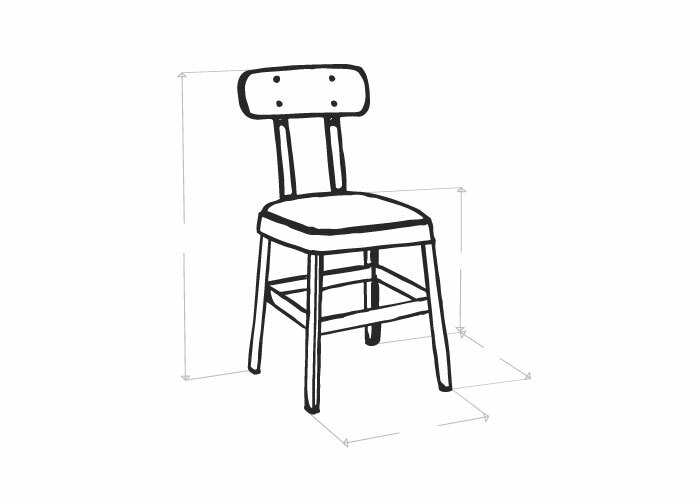 This chair meets Crib 5 regulations.